Officials are reminding people in rural areas surrounding Calgary to clean out the brush from their yards to help prevent the spread of wildfires. Crews have been battling several grass fires in northern Alberta in recent days, some of which prompted evacuations and road closures in several areas, including Bruderheim, Lamont County, Chipman, Fort Saskatchewan and Strathcona County. In the southern part of the province, fire bans are in effect in Mountain View County and Kneehill County. Rocky View County and Chestermere are both under a fire advisory, even though there are no active wildfires. In Redwood Meadows, which borders Rocky View County southwest of Calgary, fire chief Rob Evans is reminding people there to clear out old deadfall and dead grass. "That's really where the big danger lies, is the deadfall and stuff that can support a ground fire, and keep a fire going. If it can't get into the trees, then we are already way ahead," he said. May is typically the driest month of the year in Alberta's forested areas. "The dust coming up is just incredible in the field. It's so dry that that little bit of rain that we had the other day will certainly help with residential lawns and greening them up. But overall, it didn't really do very much at all," Evans said. There are many fire bans and advisories throughout Alberta, with specific restrictions varying by district. County of Forty Mile No. 8. Fines for violating fire restrictions range from $172 to $575 per violation. Calgary Fire Department spokesperson Carol Henke says on a day-to-day basis they'll be monitoring weather, moisture and air quality to determine if fire bans are necessary, and that any advisories or bans will be posted on the department's website. Minister of Agriculture and Forestry Oneil Carlier says people need to obey the province's fire advisories and bans. "It's really all up to the rest of us, every citizen in Alberta should be careful, making sure that we're not that person that starts that wildfire," he said. The province has an operating budget for wildfire management of $130 million. 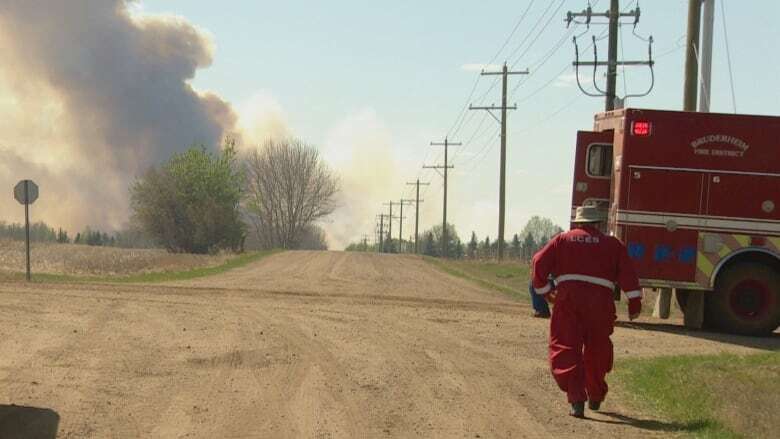 This covers the preparation for wildfire season, including training, opening tanker bases and towers, prevention and detection activities and hiring seasonal staff, the province says. Additionally, Alberta Agriculture and Forestry's FireSmart program, a joint effort among government, industry and community leaders aimed at preventing wildfires, has a budget of $15 million for this year.